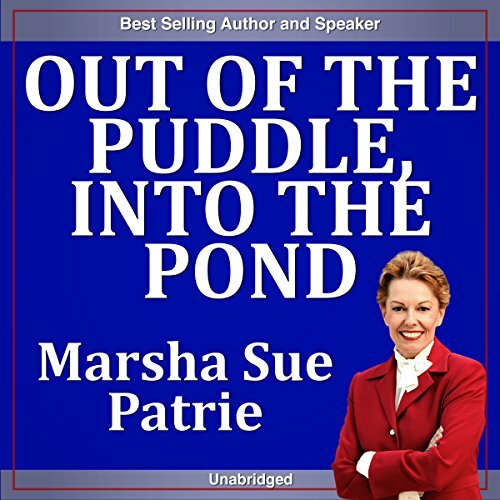 Marsha Petrie Sue's Out of the Puddle, Into the Pond: Your Ultimate Plan for Success is a matter-of-fact and interactive audiobook - Petrie Sue recommends downloading the accompanying workbook as well for best results - intended to help listeners excel in the modern workplace. Petrie is a practical-minded speaker, who focuses on teaching listeners to develop and utilize their own specific "tools for success", and to overcome the many distractions and challenges inherent in today's working world. Her straightforward, down-to-earth tone and approach to problem solving make this audiobook a refreshing addition to the self-help genre.